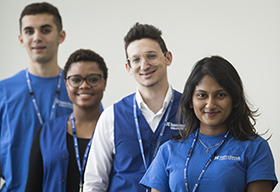 Caring for patients and their families at critical times in their lives, conducting leading-edge research, discovering innovative approaches to care, teaching the latest advances in health care, and our affiliation with the University of Toronto, all distinguish Sunnybrook as one of Canada’s premier academic health sciences centres. 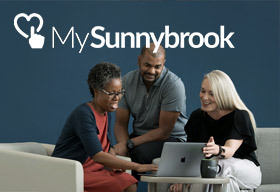 Sunnybrook provides expert and compassionate care for patients in their time of greatest need: from premature newborns, to those requiring critical care, specialized trauma, musculoskeletal, oncology, mental health, dementia, cardiac or stroke care, to elderly war veterans living at Sunnybrook. We are one of North America's finest programs for musculoskeletal care, education and research. As part of the busiest trauma centre in the country, we focus on complex injuries that cannot be managed elsewhere. We primarily focus on major musculoskeletal injury (a range of disorders involving muscles, bones, tendons, blood vessels, nerves and other soft tissues), total joint replacement, and major biological restoration. We are solely dedicated to specialized rehabilitation. 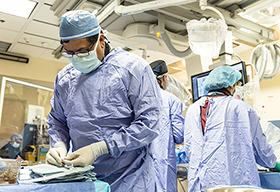 Our expert clinical team provides individualized treatment, education and support for people recovering from complex, life-changing illnesses and injuries, including: amputations, cancer, cardiovascular surgery, organ transplants, orthopaedic conditions, stroke and neurological conditions, traumatic injuries and complex medical procedures and conditions. With a unique focus on the whole person — body, mind and spirit — St. John's Rehab is rebuilding people's lives. 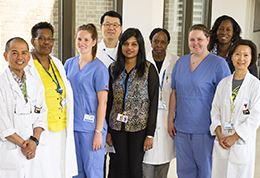 The Reactivation Care Centre (RCC) is a Sunnybrook site designed to support patients in continuing their care when they no longer require specialized, acute hospital services. The centre is designed for patients who are waiting to move to another care facility in the community, and will help ensure the best care in the most appropriate setting.